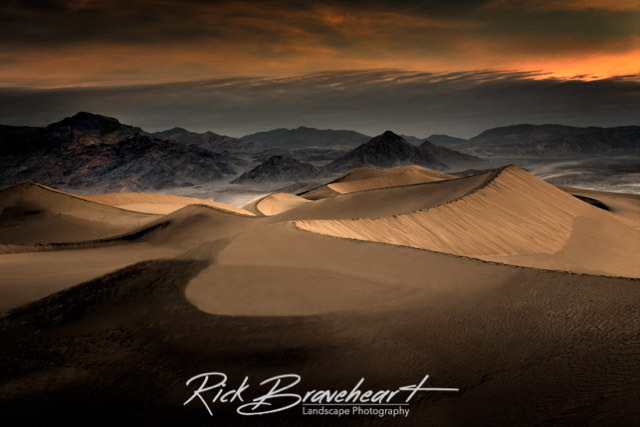 Daybreak illuminates the graceful 100-foot tall Mesquite Flat Sand Dune in Death Valley National Park, California. As one of the most popular dunes in the park, Mesquite Flat is normally covered with the footprints from hundreds of daily visitors. This image was made just before sunrise following a night-long windstorm that washed away the footprints.